The U.S. Open is an NSSA shoot which rotates location from year to year to allow shooters regionally an opportunity to participate. The shoot normally rotates between clubs in the East and clubs in the West. If no qualified club within the respective region has submitted a bid for a particular year, the shoot may be awarded to a qualified club outside the normal rotational sequence. Awarding of the shoot will follow the normal east/west rotation year to year, even if a club is awarded the shoot out of rotation because of lack of bids from clubs in the prescribed schedule. The criteria for clubs bidding to host the US Open are defined by the US Open Committee and approved by the Executive Committee. 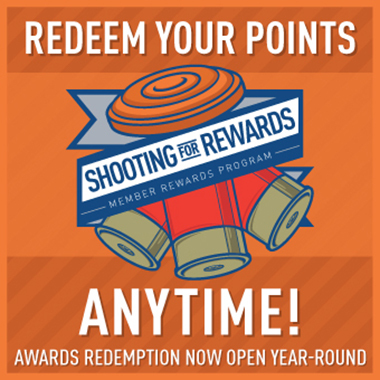 They are reviewed annually at the US Open Committee meeting held during the World Shoot in October. The particular criteria definition applies as of the date the shoot is awarded by the Executive Committee. Interested in hosting the US Open at your club, or want to know how host clubs are selected? Download the criteria and bid documents below.